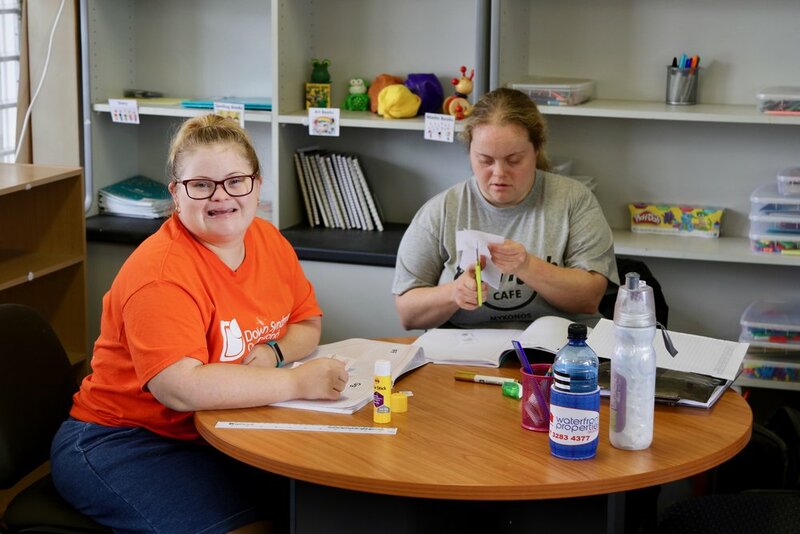 This is a program of curriculum instruction developed by Down Syndrome Queensland and is based on current effective approaches in the education of people with Down syndrome. The program is a continuation of a students’ education after school and into adulthood, and attempts to build on the students’ learning strengths. The philosophy of the program is that students learn holistically and as such, the program will include elements of a student’s real world experiences. Language is best learnt by using it regularly with others and by reflecting on its use. We have adopted a view that literacy is both functional (purposeful and meaningful) and social (empowering, informed, interactive and enjoyable). The program has several aims that reflect its unique development as it provides opportunities to continue curriculum education beyond formal schooling. Cost: Please contact us to find out about cost, your NDIS plan can be used to fund attendance.